Colleen sent me this photo she took at the range from a few years ago. 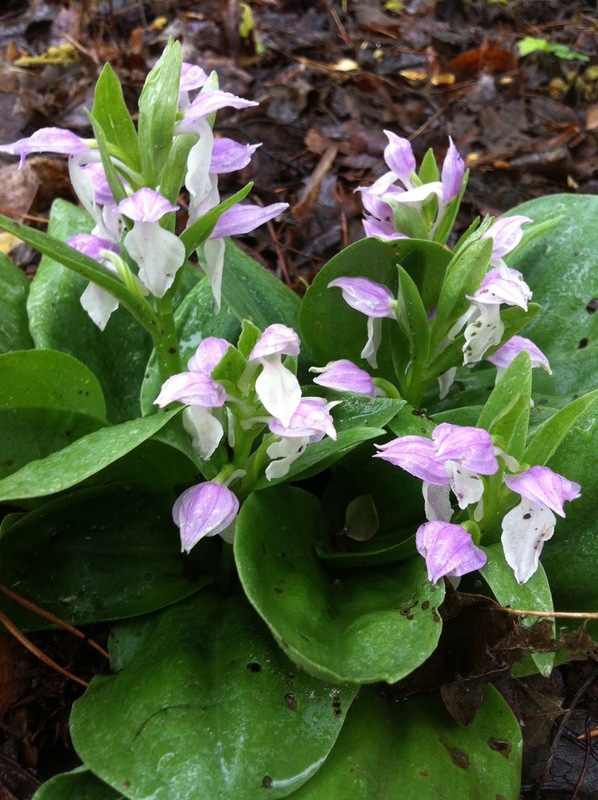 The plant is a native orchid called "Showy Orchis" or Galearis spectabilis. I actually remember quite clearly the day we saw the blooms when were shooting and she stopped to take some pictures. The blooms appear in April and May. I don't recall seeing the plants last time I was at the range, so I wonder if they survived some recent range renovations. Perhaps I'll just have to go shooting after work today to check it out.